Australian actor Sam Worthington, seen in such blockbuster films as Avatar, Clash of the Titans and most recently Everest, portrays real-life soldier, Captain Jack Glover in the critically acclaimed war film, Hacksaw Ridge. Vying for eight Oscar Awards including Best Picture, Hacksaw Ridge centers on the story of Desmond T. Doss (Andrew Garfield), a Seventh-day Adventist who became an army medic while adhering to his religious convictions of not carrying a weapon. He saved 75 men during the Battle of Okinawa in World War II. 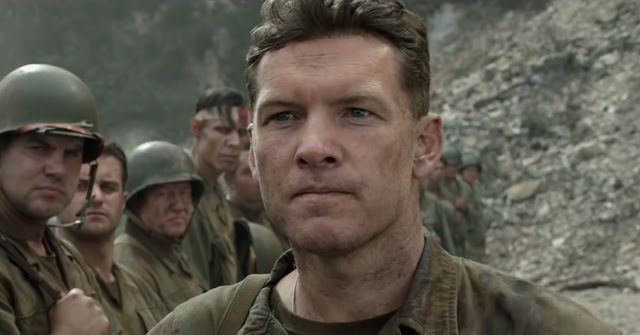 Worthington was excited to play a real-life hero and honor the unlikely connection between Glover and Doss. Captain Jack Glover, a former Detroit policeman as Commanding Officer of the 307th Infantry, 77th Army Division, 1st Battalion, Company B, was tasked to create an entirely new unit from scratch. In the film, facing the stark, life-or-death stakes of war, Glover feels he doesn’t have time for anomalies such as Desmond Doss. Glover tries to move Doss out on a psychiatric discharge, but when that doesn’t stick, he places restrictions and pressures on Doss, who still refuses to buckle. When Glover tries to court martial him, and that too doesn’t work, his hand is forced – but Doss surprises him again. “The real Captain Glover was a very strong man. But I liked the idea that he and Desmond were coming at the idea of saving lives from two different angles. Doss was ready to try to do it without a weapon as a medic. Glover believed you’re only as good as the man next to you, and if the man next to you in a warzone doesn’t have a weapon it will most likely end tragically. I liked getting both sides of the argument,” says Worthington. 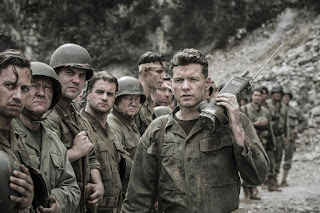 Worthington has starred in a number of films set in war and has spent a lot of time contemplating why it is a force that both compels and repels us. “I think war brings out the worst in man, but at times it also brings out the very best. 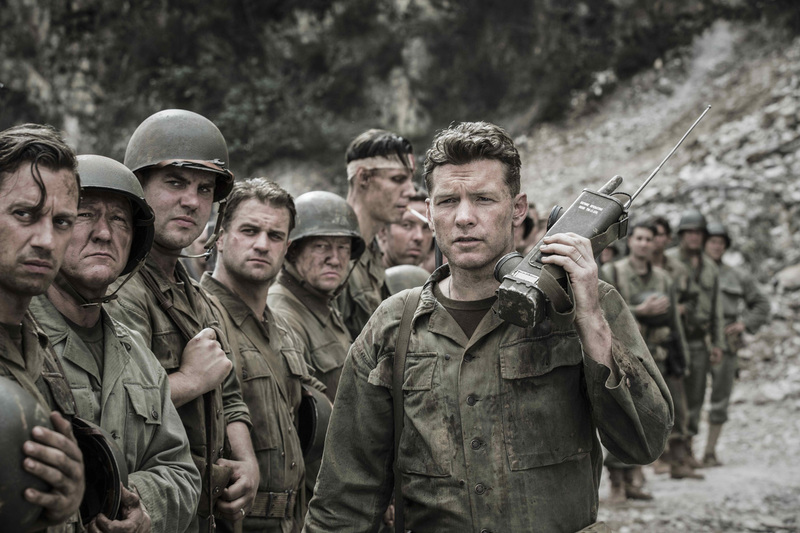 We’ve been inundated with so many movies about war, though, so it’s great to see a truly fresh angle we haven’t seen before in Hacksaw Ridge. Worthington made his feature film debut with the Australian film, Bootmen. His performance garnered him an Australian Film Institute (AFI) Award Nomination for “Best Performance by an Actor in a Leading Role” in 2000. It was Worthington’s layered performance in Cate Shortland’s critically-acclaimed and commercially successful Somersault which distinguished him from his peers. He earned an AFI Award for “Best Actor in a Leading Role” and a Film Critics Circle of Australia (FCCA) Nomination for “Best Actor – Male” in 2004. The film made a clean sweep of the AFI Awards, winning in all 13 film categories—the first time this had ever occurred in the awards’ history. 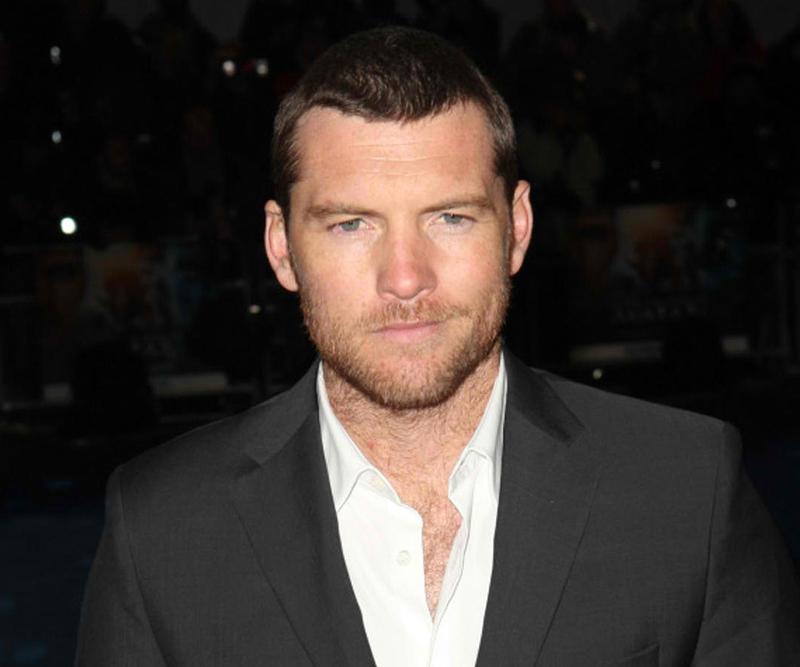 With smaller roles in international films such as Hart's War, The Great Raid and Rogue under his belt, Worthington screen tested opposite Daniel Craig for the role of “James Bond” in Casino Royale. Although he did not land the much-coveted part, it proved to be the perfect dress rehearsal for the following year when James Cameron hand-picked Worthington to star in Avatar—Cameron’s first narrative film since his 1997 Oscar-winning blockbuster Titanic. Avatar is the #1 highest grossing film of all time at over $2.7 billion worldwide, and received several nominations for the 2010 Academy Awards including “Best Picture.” Worthington is scheduled to shoot the Avatar sequels next year.